Creating a niche of Screw such as Sheet Metal Screw, Wooden Screw, Philip Head Screw and Pan Head Screw at its best, with utmost quality. Perfect shape and swift movement of our organization has made us instrumental in offering Wooden Screw. This wooden screw is manufactured at our end by using premium grade material and advance techniques keeping in mind the all set norms. The offered wooden screw is praised among customers for its superior quality. Offered wooden screw is well tested on numerous parameters by our quality experts before delivering to customer’s end. We hold expertise in providing an extensive range of Sheet Metal Screw. Our provided metal screw is high on demand in the industry for its durability & optimum quality. The offered metal screw is precisely manufactured with the help of supreme quality material and cutting-edge techniques in compliance with set industrial norms. 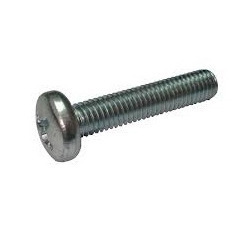 We provide these metal screw different specifications as per the demand of customers. We have emerged as the leading manufacturer, wholesaler, retailer and supplier of superior quality Philip Head Screw. 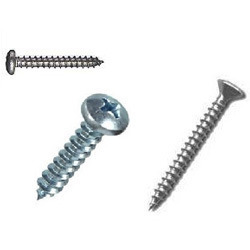 This screw is available from us on several specifications as per the requirements of customers. Offered screw is manufactured by using optimum quality material and ultra-modern techniques after following the all standard of industry. Our screw is inspected on diverse quality parameters by our quality controllers before the final dispatch. We are riding on the waves of success which motivates us to deliver a very promising range of Pan Head Screw. The offered screw is well manufactured using top notch material and progressive technology at our end. Our offered screw is acknowledged for its accurate dimensions and superior finish. 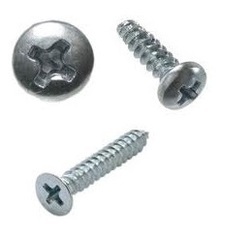 In addition, this screw comes in various specifications to meet the diverse demands of our customers.